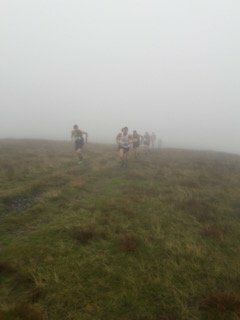 A small group of Striders (Paul, Geoff, Mike and myself, with Mum (Jan) supporting) headed over to Sedbergh for this GP race. The forecast was for rain/drizzle, with very poor visibility. I hadn’t run this before, so I’d recced the route a couple of times in similar conditions, and had my checkpoint split times and bearings prepared so I didn’t have to think too hard mid-race. After the usual pre-race warning about kit, compass and a cut-off time at check 3, we were off. The race has a gruelling start climbing up to Arant Haw (check 1), and to spice things up the cloud base was very low – at times reducing visibility to a few yards (except for the finish, I think we only emerged from it once). After check 1, a lot more climbing, descending….repeat. 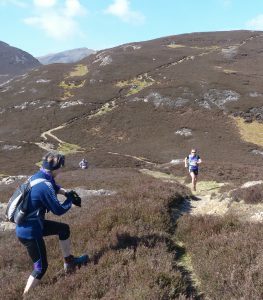 The last few miles is a glorious descent from the Calf (via the ‘bump’ that is Winder) which in good visibility is fabulous running. 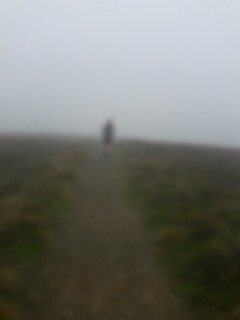 In the race, I was just focussed on staying on the grassy path in this section, aware of wraith-like runners around me in the mist. I felt like I executed my race plan well – I used my bearings, checked my map, stuck to the route (from what I could tell) and finished just within planned time. 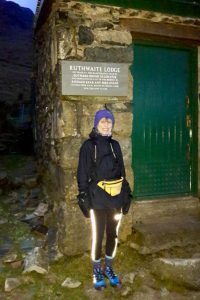 It was great to see Mum at checks 1 and 5, peering through the mist looking out for us all – and joking aside, the mist was so dense we really could hear her before we saw her, chatting to the hardy souls at the checkpoints. This is without doubt one of the toughest races I have done up to now – brutal climbs, steep (some un-runnable) descents, sections with no ‘escape route’, ankle-straining gradient on what look like flatter sections, and pathless wilderness between checks 3 and 4. Not to mention the weather conditions. 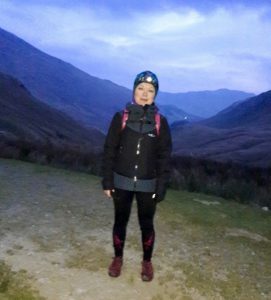 For me, this was much harder than Swaledale or the Yomp – I’m not used to so much climbing, and I know I need to get stronger on the hills. The pluses – all of the above 🙂! And a well organised race, the beauty of the Howgills (weather permitting), and plenty of friendly, like-minded folks to enjoy it with. Oh, and hot showers at the end at the People’s Hall – what more do you need? Despite it being tough (or because it was? )….I loved it. Even when my legs were screaming at me to stop. Fabulous race and strongly recommended. If you are thinking about giving this one a go, I suggest do your homework, test yourself (legs and navigation), recce, recce, recce, and be prepared for anything the weather can throw at you. 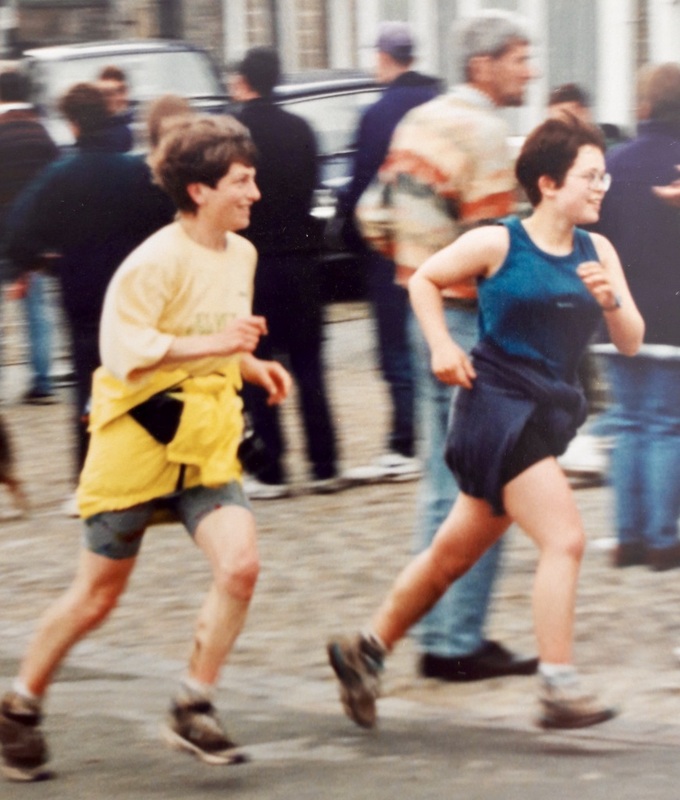 I ran (and walked) my first Swaledale in 1995. I was new to running and Mum (Jan) suggested we give it a go. It was hell. We did it together, and all I remember was her going on about the beautiful views, and me swearing at her a lot. A year later I was back – fitter, 3 months pregnant with Leigh, and up for it. I was hooked. There are many great races/runs out there, and many reasons why we each have a preference. Swaledale is my firm favourite. I’ve been back most years (though a long break between 2011 and 2017) and completed it in a range of times. With a decent pottery collection now in use around the house, this year was number 17. For anyone thinking about doing this, I would recommend it (though you may have realised by now that I am somewhat biased!) You need to be quick getting a number (they sell out fast in January), but for £21 you get a well-organised run/walk, water at all the manned checkpoints and cake and sandwiches at a couple, a hot meal at the end, a badge and pottery souvenir, lots of great views, and the chance to share the experience with other like-minded runners and walkers. You don’t usually need to use your map if the weather is good and you’ve recced the route (though be prepared to do so if needed). This year – I wished Mum and a few other Striders luck at the start then didn’t see her again after the initial climb up to Fremington Edge. The weather was great – not too much sun, a bit of a breeze, and fairly dry underfoot. I was aiming for under 5 hours but a little worried about post-Yomp legs (only 6 days before). One of the Swaledale ‘greats’ (Strider RotY in ‘93 and ‘99 – and stepdad – Tony Young) once wisely said ‘the race starts at Gunnerside’. It’s true. 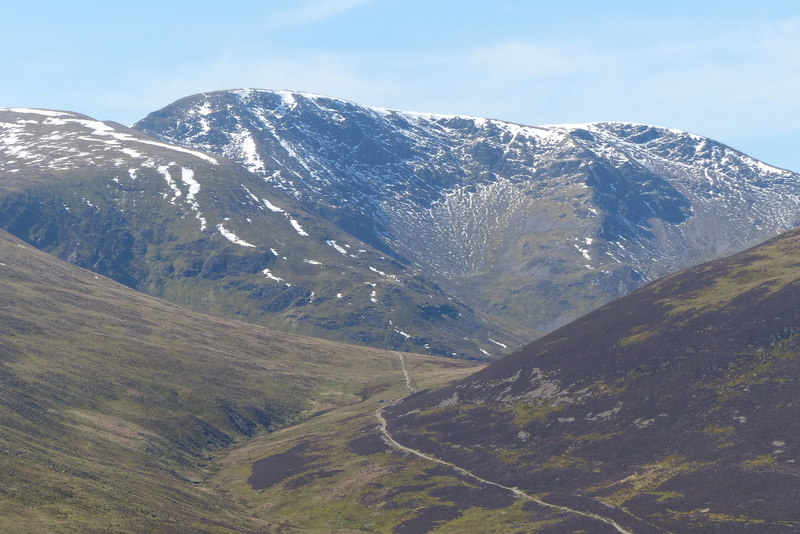 I often fade here – that climb out is tough with 16 or so miles in your legs – but when I got there, well within the planned time, I focussed on forcing myself to run at least the flats and downs (ok, jog). This year I managed to keep my pace going and passed quite a few people between there and the end. Pushing hard down the stony track into Reeth (my favourite bit of my favourite race) I finished well under target time. Really hard work but thoroughly enjoyed the day. Good performances from the other Striders that turned out too. The best bit for me, 22 years after her first ‘visit’, was seeing Leigh at the end and a big hug; and then (with Tony) cheering Nanny/Mum/Jan in. I jokingly challenged Leigh to do this next year, but I think she declined. I’d be very happy to walk/jog at her pace, perhaps waxing lyrical about the glorious views…. after all, it never did me any harm. There were a bundle of Striders running in the Derwentwater Challenge and I jogged towards the Start area a few minutes before 1pm in the hope of grabbing a chat and a few photos. 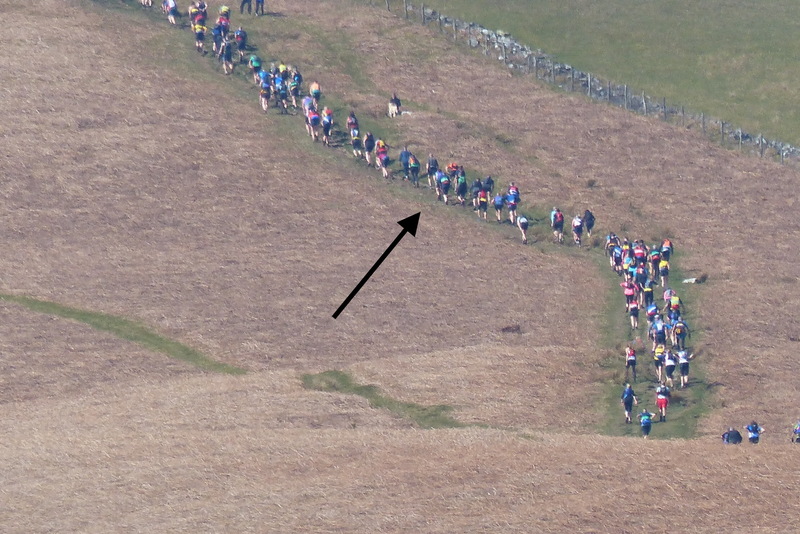 Unfortunately, the organisers had decided to start the challenge a few more minutes before 1pm than I had anticipated and all I saw were the receding backs of the runners as they headed up and away. So away I wandered lonely as a cloud for a while returning nearer to 2pm for the trail race. Anticipating that they might start this one early too I made sure I was lounging in the starting area in good time. Sure enough with the little hand not yet on 2 we were sent on our way. 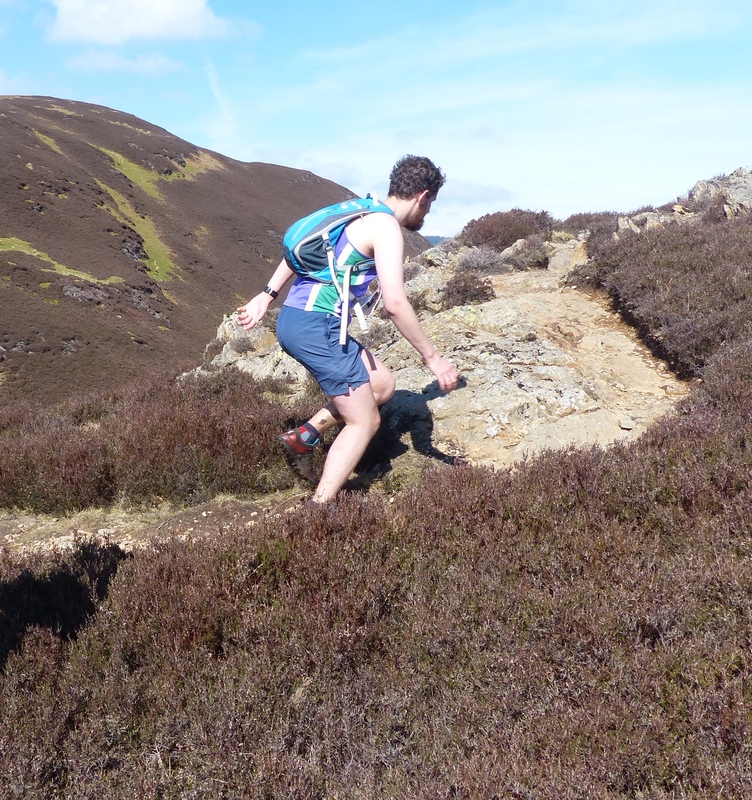 I was curious how it’d feel doing this after the Grisedale Horseshoe the day before. Interesting. Very much like the second running phase of a duathlon just when you’ve hopped of the bike. Not unpleasant. Actually, yes, really quite unpleasant now I come to think about it. But I’d paid my (substantial) entry fee and made my choice. It’s really a rather nice course and fiendish in a mischievous sort of way. I like the way it snakes up one side of the valley, hops over, then carries on up the other side. The terrain was much squashier than I expected but I was wearing some lovely new Salomon trail running shoes that I’d bought from that nice Mr Fisher earlier in the morning. Towards the end of the race I was beginning to loosen up a bit and started making a few gains on the fast descent to the finish. I had to explain to the lass in front that if she hung around gassing to her mates she’d lose her place in the funnel and I’d get her time and she’d get mine. No tea, juice or sandwiches for the finishers (you’d have to do a fell race at a quarter of the price if you want that) but a cup of water and a grubby bit of Kendal mint cake. No sign of any Striders but a browse of the results showed good fast runs by everyone who did the Challenge. Heading over the A66 on Sunday morning the weather looked promising. Stef and I had entered the Trail Race – which has the same route as the Challenge but without prizes and starts an hour earlier. With Debs, Denise and Jane doing the Challenge we decided to switch races; a civilised race start of 1pm meant that we could head off to find a coffee shop – sustained by liberal helpings of Debs’ delicious flapjack. The race starts and finishes in Fitz Park, where we bumped in Barrie. For the cost of the race you get a well-organised check-in, baggage tent, technical t-shirt which you can collect before the race, markers and marshals throughout the course, and a PA system to encourage you at the finish. 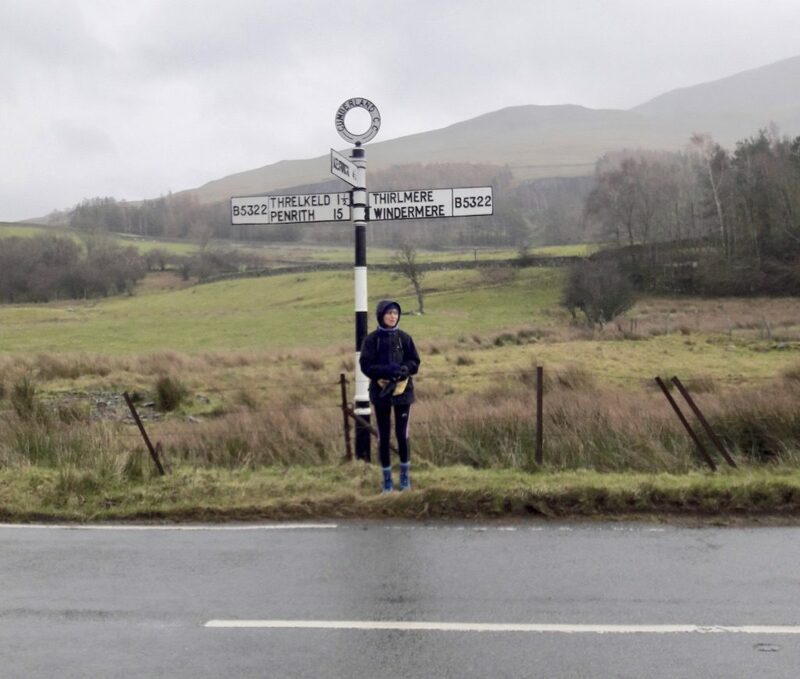 But the most impressive part is the route – setting off along the disused railway line out of Keswick, there are 8km of trails and boggy footpaths climbing up the valley by Glenderaterra Beck, then looping back following the Cumbrian Way, 6km along the contours of Lonscale Fell and a fast descent into Keswick. The glorious weather made this a superb run, and it was great to see that the event’s organisation and support (and Kendal Mint Cake) encourages a good mix of runners to get involved. 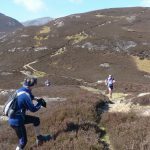 For five ladies and Barrie – a great day out and enjoyable runs had by all. 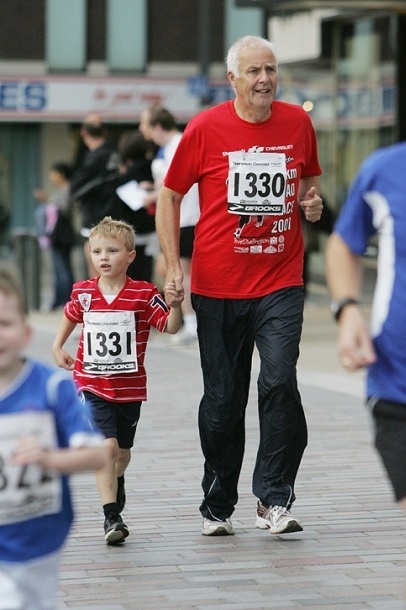 No less than 16 Striders turned out on Sunday morning for the Darlington 10k! It was a lovely morning and Darlington town centre was packed with runners and supporters alike. The race starts near the market place and consists of 2 laps on closed roads (water at 3k and 7k), then finishes back in the market place. There was a lot of support around the whole course from local residents who stood outside their houses cheering, and then some fair-sized crowds cheering nearer the town centre. 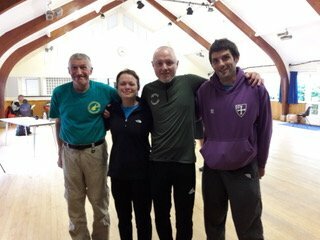 Jan and Calum Young, Peter Brooks and Jacqui Robson all provided some very enthusiastic Strider support around the course which really helped when I was dying on my feet around 8k! 1. horizontally level: ‘a flat roof’. 2. level, even, or without unevenness of surface, as land or tabletops. 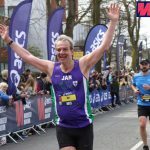 Do the Brighton 10k and I’ll show you what a flat race really is! Anyway… All in all it’s a very good race to get a PB – it does have a fair few downhill bits to match the uphills! 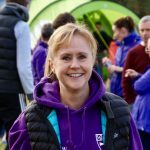 Nina Mason had a fantastic run on her first ever 10k road race (if you can believe it!) and was the first Strider home in 44mins! Doing my warm-up with Nina must have psyched me up because I had a great run despite the undulations and got under 50mins for the first time ever which left me grinning for the rest of the day. Claire Readey also had a good run on her first ever 10k [ Her first ever race, I believe. Ed], clocking in under an hour. Good performances from all the Striders and lots of happy faces at the end. Not a lot of people know this, but Darlo is my hometown … born and raised (for a few years, anyway). There may be a few people – depending on their affiliations – that don’t speak to me for a while once they read this, but … I digress. Despite this fact, I have never run the Darlington 10K. The day was a bit too muggy for comfort, but at least the sun didn’t come out until it was time to collect the t-shirt. As road-running isn’t usually my bag, I always feel privileged when I see roads closed for runners, fluorescent marshals, water stations, and numerous arrows and distance markers (though these were in kilometres and being the 10K novice that I am I spent a good part of the race trying to work out my mile times in my head). A flattish, two-lap course, with a fair few of the locals out to offer support all the way round. A big turn-out for a well-organised race – including the Junior Race and Fun Run – plus a good show of purple, as always. 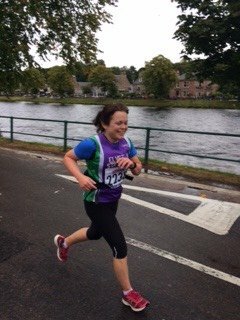 As Zoe – who knocked minutes off her PB, well done! – said on the way home, a great way to spend a Sunday morning. Late news: Jean Bradley won a prize for 2nd FV50! The working week had seen sunshine and spring-like temperatures. There is sunshine and blue skies today as I write this. Saturday however dawned grey, complete with drizzle to be followed by heavier rain. I smell a cross-country. The VAA-NE Cross-Country Championships was run from Branksome School, Darlington and saw six Striders enjoy the fine x-country weather, with the added bonus of plenty of mud thrown in for free. After a discussion as to whether it was warm enough in the teeming rain for vests only, or maybe t- shirt required, or the again gloves instead…it was ladies off first. 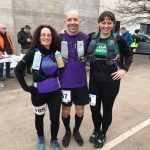 Fiona Shenton, Jan Young and I formed part of a (somewhat disappointing) field of fourteen—there was no room for hiding in this one—accompanied by the men’s V70 and V75. Fiona had a good run on the fast and a bit-too-flat 5.5K two-lap course, finishing fourth; with Jan and me in hot pursuit. There was no let up in the rain for the men’s three-lap 8.8K race, and a bigger field was dominated by Brian Rushworth winning an impressive eighth championship. David led the Striders men home with a strong run, with Mike and Conrad close behind. 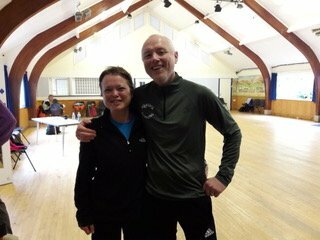 A soggy, mud-spattered and somewhat chilly group of competitors gathered in the school gym afterwards and saw Fiona and Jan collect medals for winning their age groups. Us ladies also won second team prize, all of which shows you gotta be in it to win it! A mention must go to Mike’s carrot cake—so good it was worth having to give my shoes an extra scrub.